Every day in November, I’m working on a thriller with romantic elements (as part of the Entangled requirements) entitled Greatest Hits. 50K is the goal, but I’m really aiming for around 80K which is more in the avenue of my chosen genre. This week and for the next five on FRIDAY FORAGE we talk NaNoWriMo. We also get tangled in the Entangled Smackdown over at SavvyAuthors. I’ll be posting weekly updates on my word hoarding–or how I just typed it at this late hour–woarding. I like it. Day 01, off to a good, albeit late start. Still under the weather, I somehow didn’t get my groove on until the early afternoon. I’ve been itching to write out several scenes this entire week but didn’t want to break the rules and write ahead of time. I thought I’d have no problem with my brain spill. Turns out my excitement caused a clog in the cranium and it actually prevented me from getting any words out. Fearing zero output on the first day, I chugged ahead and plotted out the first chapter with the “this happens, then this happens” approach. Soon enough, my dialogue came out naturally and the words began to flow. All 2,324 of them. I had to stop to share the progress with you all. Tomorrow, I’ll continue where I left off mid-scene where characters may or may not ensue in a round of fistacuffs. As I’ve WriMo’d pretty much all year, one might wonder why I’d put myself through that on repeat. 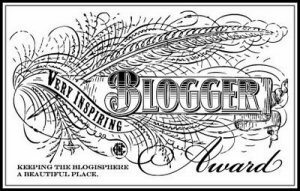 Though it’s for the Camp version, take a look at some very applicable reasons for joining in one of my earliest contributions to the blogging world here. As for the forage part of this month’s Friday offerings, I’ll come up with five tidbits, brain candy, if you will, to help in the NaNoness of it all. Today, I’d like to share five AHMAYZEENG writing essentials I cannot do without. I may have mentioned them before but they’re definitely worth mentioning again. My November wouldn’t be the same without them. 1, 2, & 3) A triad of awesomeness. Nay, a treasured trifecta in any writer’s toolkit. All courtesy of the faboo K.M. Weiland. Okay, if I’m being honest, the entire list could go to her, but let’s just touch upon three things that will help me this month. Outlining Your Novel: Map Your Way to Success. This excellent resource helps you create the blueprint for your dream novel. Structuring Your Novel: Essential Keys for Writing an Outstanding Story. An excellent follow-up, this book gives you all the building blocks, the materials you need to write a strong piece of work. If you need recommendations for reference books this month, pick up these two. They each cost less than a bevvie, and I’m sure many of you will be camped out at some coffee shop during November. I’m kind of miffed because I can’t find my goodreads reviews on them. I think it was during the time I used a different social media username to log on. They’re lost in the ether, but I digress. Five, bursting at the seams, ginormous stars for these books. A reference book isn’t just a reference book when delivered in an easy to follow–and digest–conversational tone. Nothing is heavy-handed in these books. A great read for the insane amount of knowledge you’ll gain. Your fiction will shine. I get excited just thinking about it. Speaking of excitement, on to the third goodie. Through Writers Digest, K.M. Weiland has a live webinar coming up next Thursday, November 7th at 10:00am PST called Outlining Your Novel: Create a Roadmap to Storytelling Success. Yes, it’s a week into our writing month, but so what? I totally registered for it already. Why? Live Q&A with K.M. Weiland, a critique for a 500 word outline. The fact that I get a chance to ensure I’m on the right track with my WIP is pretty sweet because I’d have had a week to settle into my characters. I almost forgot about the other two. 5) Google Images. I’m such a visual writer. I take inspiration from actors in particular role that has similar traits to my own characters, a building or location that can work nicely within the constructs of my made up worlds, and anything else, including inanimate objects that become props and part of the set design in my novels. So much on Day 01. I did say I was excited, did I not? How goes it on your side of the computer/tablet/phone screen? 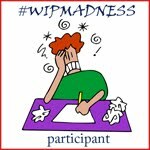 This entry was posted in FRIDAY FORAGE, Writing/Reading Challenges and tagged Entangled Smackdown, Google Images, Greatest Hits, K.M. Weiland, NaNoWriMo, OUTLINING YOUR NOVEL, SavvyAuthors, Scrivener, Structuring Your Novel, thriller, webinar, WIP, woarding. Bookmark the permalink. Hey, thanks so much for the shout out (and the shout out and the shout out). I totally appreciate it. Thanks for signing up for the webinar! Can’t wait to see you there.